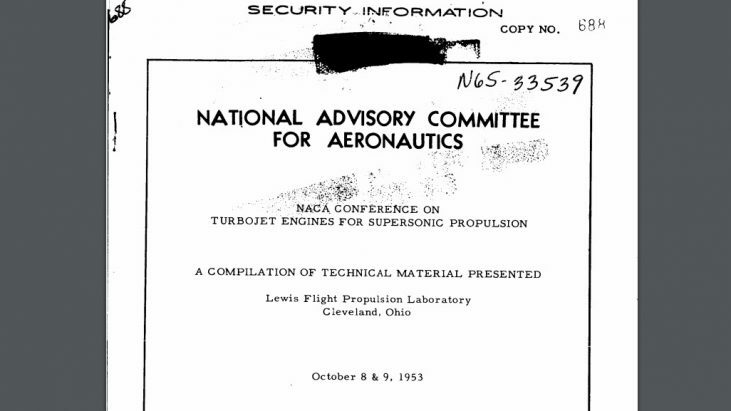 This document contains papers related to the NACA Conference on “The Turbojet Engine for Supersonic Propulsion” held at the Lewis Flight Propulsion Laboratory October 8 and 9, 1953. Much of the material presented here was presented in the panel-type discussions of the conference. In some cases, in order to supplement those discussions, material not previously presented is included. A list of the conferees is included. On a side note, I found this document in a hunt to find references to my Grandfather, R.E. Greenewald, who worked on many classified government programs in relation to missile technology and weapons systems. I discovered he was an attendee to this conference.